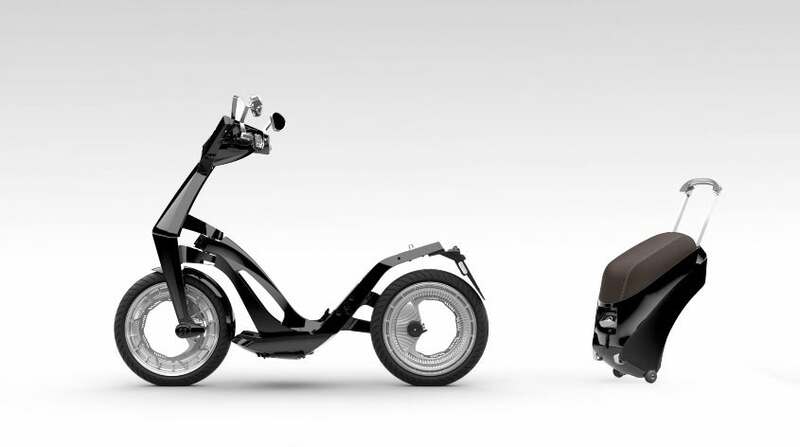 The Ujet is an innovative foldable electric scooter from a e-scooter startup from Luxembourg. 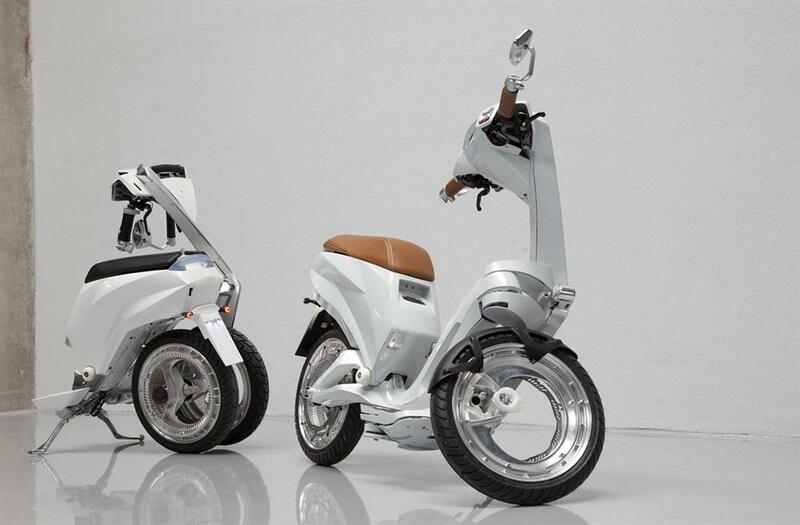 The scooter has many innovations for the purpose of creating a light weight, durable and fast electric smart scooter. The weight of the scooter is 43 kg. 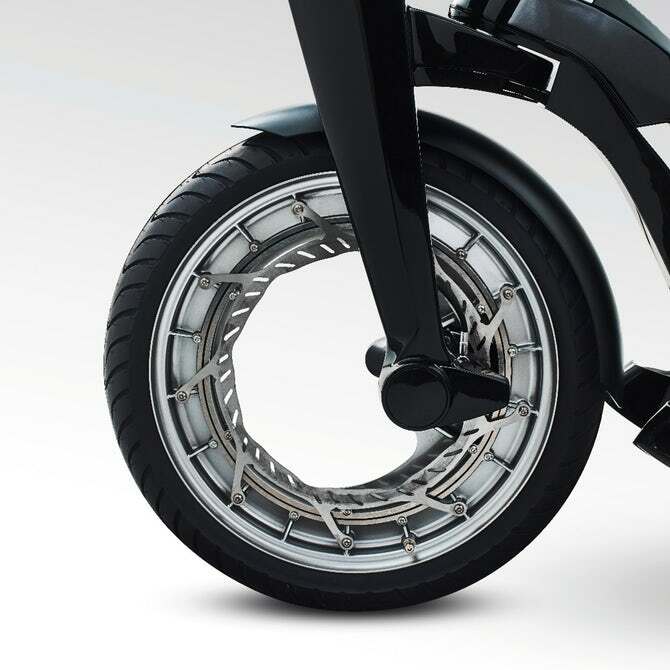 The scooter has 14″ hubless (orbital) wheels with Tuball single-wall carbon nanotubes technology enhanced tires and the electric motor, disc brakes and suspension are integrated in the wheels. 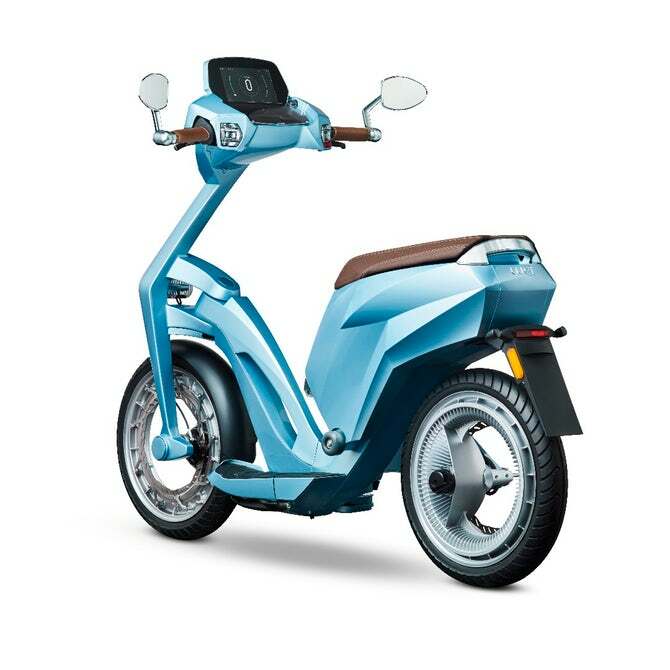 The frame of the scooter is made of carbon fiber alloy, a material that is 40% lighter and that is stronger than aluminium. 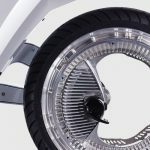 The scooter has a 3,600 watt electric motor with 80nm torque that provides exceptionally fast acceleration. The speed of the scooter is restricted to 45 km/h. 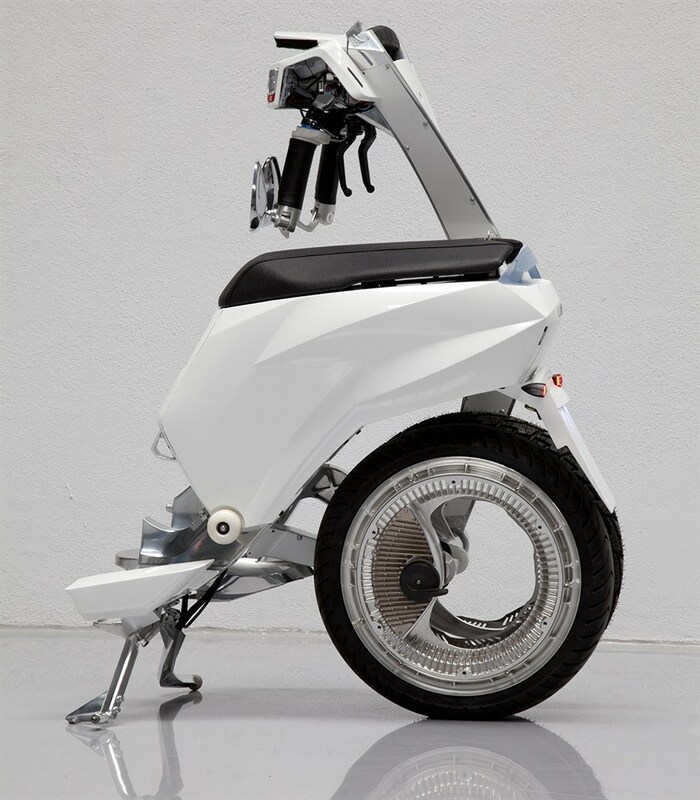 The scooter has a removable Lithium battery. 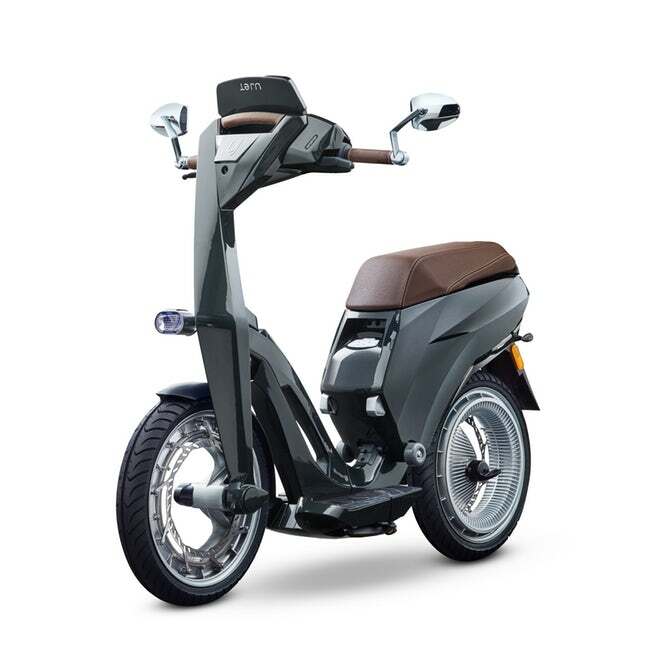 The scooter is available with two Lithium battery options for a range of 70 to 150 km. The batteries can be charged fully in 1.5 hours using an included fast charger. Using an onboard charger the charge time is 3 hours for the small battery and 6 hours for the large battery. The battery is removable and drivable using a trolley system so that it is easy to carry the battery. 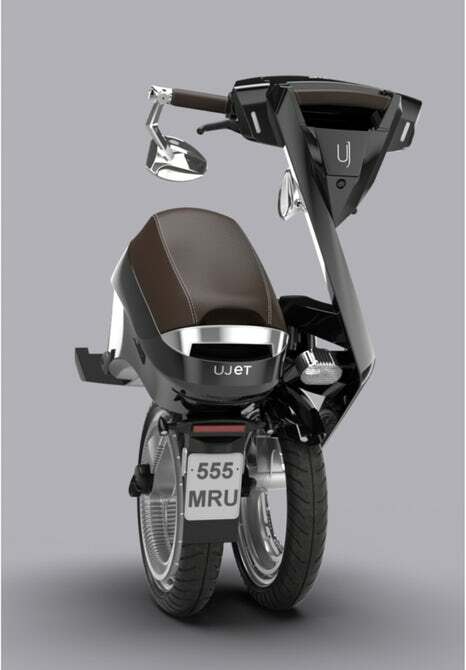 The Ujet scooter connects with a smart phone app for innovative features such as tracking and vehicle monitoring. 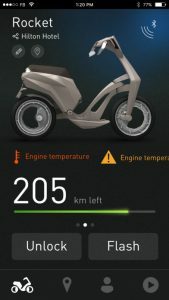 The scooter has a 7″ smart screen cockpit with GPS, 3G, Wi-Fi and Bluetooth connectivity and is controlled by voice and touch. 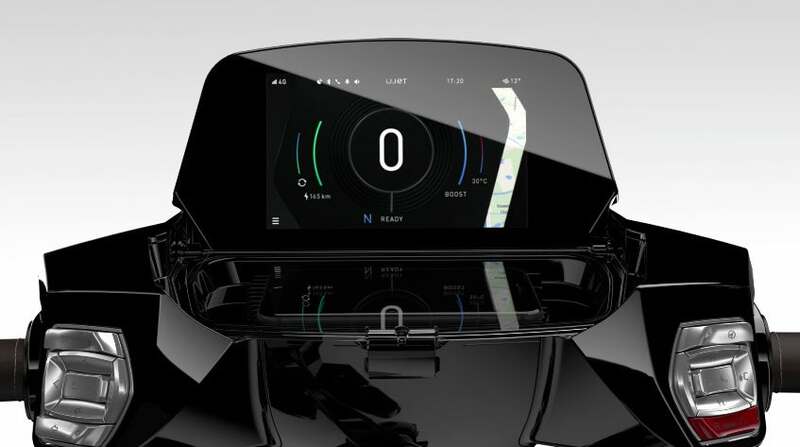 The smart screen provides access to a range of applications such as navigation and a media center. The smart screen also contains hard buttons for efficient access to basic functionality. The Ujet contains many unique innovations. The scooter has a HD camera in the front of the scooter for recording rides. Besides re-creative usage the system increases safety and provides evidence in conflicts. The scooter has USB ports for charging a phone. The LED front lights include smart sensor control, automatically adjusting brightness to ambient light conditions. An anti-theft system alerts the owner of tampering and includes a remote shutdown feature within the smartphone app. 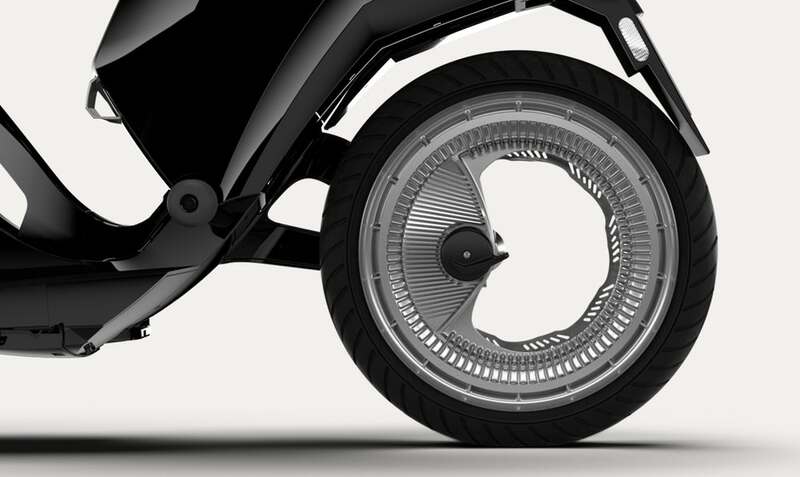 The scooter has built-in media speakers that provide an option to produce a driving sound to increase safety for pedestrians. In folded mode the scooter can be carried as a trolley, for example on a airport. 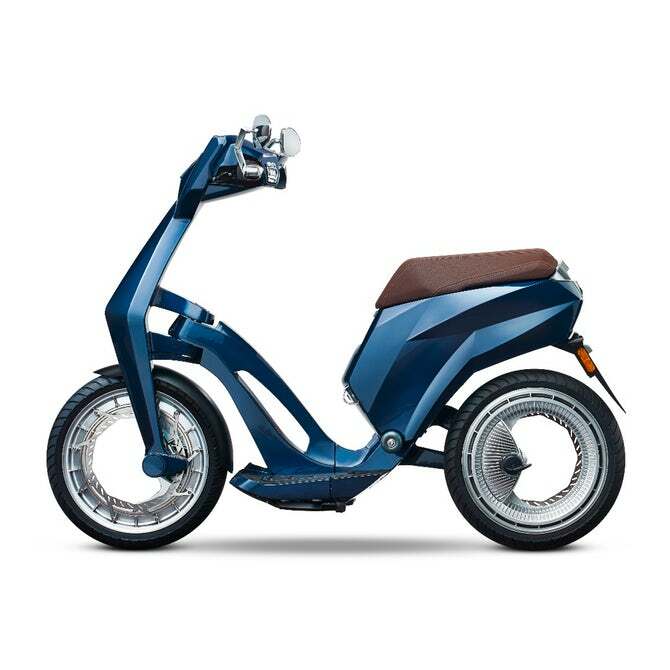 The scooter is available in 6 colors, with two frame types and with high and low seats.